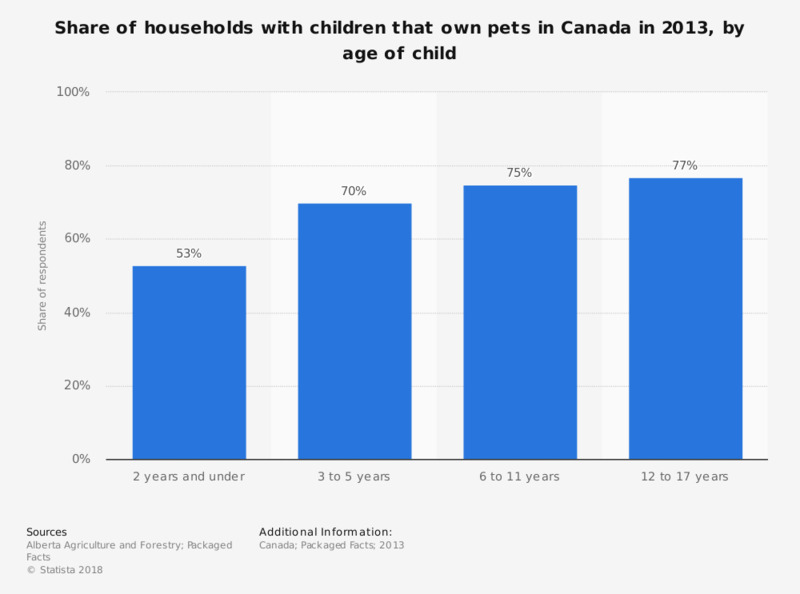 This statistic shows the share of households with children that own pets in Canada in 2013, by age of child. Of the household with children aged between three and five years, 70 percent owned at least one pet. The source does not specify the type of survey or the number of respondents.